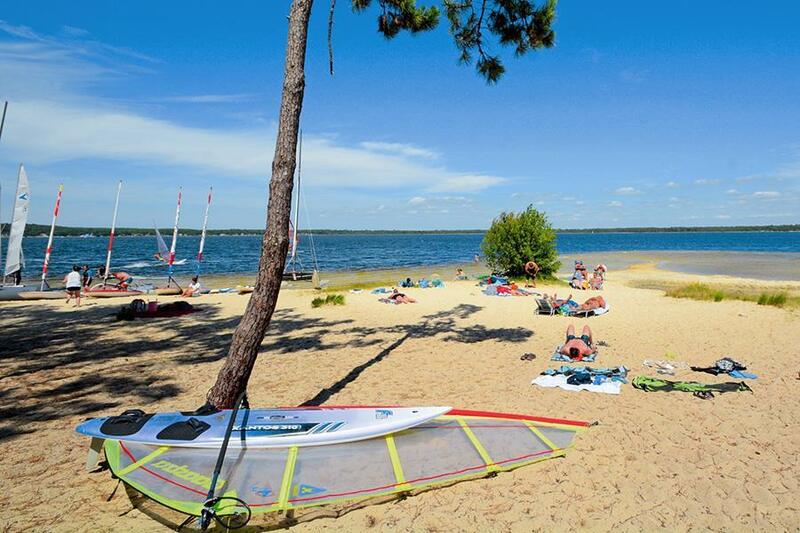 At Campsite Le Tedey in Le Moutchic (Gironde) camping costs as little as €18,- per night during low season with CampingCard ACSI. At one of the 700 touring pitches you will get a discounted rate during the period 27-04-2019 - 22-06-2019 and 07-09-2019 - 21-09-2019. At this campsite you can not only use your CampingCard ACSI for inexpensive camping, you can also use your ACSI Club ID (as an alternative ID). This site offers relaxation and nature in the middle of a 14ha pine forest. It has its own access to the shores of Lake Lacanau and is ideal for families with children and for watersports activities. The site offers every amenity. The ocean beaches are easily reached by bike (7.5 km). Would you like to book Campsite Le Tedey or request more information? You can do both using the information below or by visiting the campsite's website. From Lacanau towards Lacanau-Océan, D6 dir. Le Moutchic. Follow road to the end of Le Moutchic, also to the end of the lake, then turn left. Follow campsite signs. CampingCard ACSI will send your information request to "Campsite Le Tedey".